The DC Extended Universe is certainly in an interesting position, given that its most recent offering centered around one of DC’s most mocked and derided superheroes, and yet grossed over $1 billion off the back of surprisingly positive feedback. If Aquaman can stand as the enormous success that it did, then it truly feels like anything is finally possible for Warner Bros.’ contested DC Extended Universe movie franchise, and that’s good, because Aquaman will soon be followed up by the public release of Shazam!, a movie centering around DC’s other most ridiculous superhero! Perhaps it may shock you however (pun not intended) to learn that not only is Shazam! just as impressive as Aquaman, but it’s somehow even better to boot! Granted, Shazam! unfolds on a significantly smaller scale in contrast to DC’s underwater superhero opus from last year, but its wholesome approach gives the DCEU a sense of comedic, off-the-wall charm that it’s been desperately in need of throughout many of its current offerings. A deliberate throwback that could easily be pitched as Big with a superhero (as many pundits have already done with relish), Shazam! both satirizes and calls back to a more quaint, straightforward time for superheroes on the big screen, when the power fantasy was enough, and the only themes at play were the ever-present struggle of good-vs.-evil. Shazam! nonetheless attempts to carry themes centering around the importance of family and the humility that must come with power, but it’s really at its best when it’s just proudly embracing itself for the ridiculous high-concept superhero comedy that it is. It never descends into the realm of empty-headed farce however, since there is a real heart beating underneath all of the silliness, and while there’s nothing here that truly feels revolutionary for the heavily crowded superhero movie genre, Shazam! never truly set out to rewrite the formula on superhero movies in the first place. The movie commits to a straightforward idea, and realizes it very well, once again shirking any high-profile connections to the rest of the DCEU at large (as Aquaman did), to stay centered on a heartfelt character story. It may not expand your mind or challenge your ideals, but Shazam! is a hell of a lot of fun for kids and adults alike, and easily surpasses Marvel Studios’ Captain Marvel as the most impressive superhero movie of 2019 so far! Shazam! is headlined by the double act of former Disney Channel star, Asher Angel and former Chuck star, Zachary Levi, who collectively portray streetwise fourteen-year-old punk, Billy Batson, a frequent runaway and perpetual foster kid with no respect for authority. When Billy ends up invited into the Rock of Eternity, a sacred place from ancient Egyptian times that’s guarded by an old wizard (played in a brief part by Djimon Hounsou) however, he is bestowed with the, “Wisdom of Solomon”, the, “Strength of Hercules”, the, “Stamina of Atlas”, the, “Power of Zeus”, the, “Courage of Achilles”, and the, “Speed of Mercury”, all of which he can activate by saying the word, “Shazam”, which also happens to be the name of said wizard. 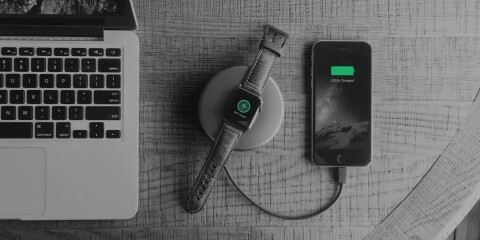 It sounds delightfully insane, and Shazam! obviously wastes no time mining the ridiculous 1940’s-era Superman knock-off concept for all of the chuckles that it’s worth! What’s most impressive about Billy’s character arc in Shazam! is that it somehow makes the character work, while still playing up everything that makes the whole situation behind Shazam himself truly absurd. 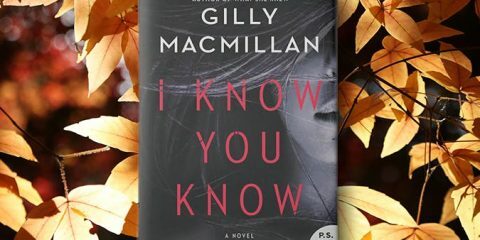 Billy’s struggle to fit in, find a family and overcome both his own demons and his own pride is something we can all relate to, whether we were a kid in years past or are a kid in the present. The complementary lead performances of Angel and Levi are also on-point throughout the entire movie, with Angel portraying an angsty, yet genuinely lovable troublemaker, while Levi is left to shoulder the more wide-eyed and childish elements of Billy’s character. I must say as well that, despite initial skepticism, Levi absolutely crushes the role of Shazam to boot! His Shazam perfectly embodies both the larger-than-life power and adorable man-child disposition of the character, and this truly does feel like the role that Levi was born to play, one that will hopefully lend itself to several promising sequels in the future. In DC Comics lore, Shazam is also merely the star of an entire family of superheroes, and many of those characters do exist in their pre-hero forms as Billy’s foster siblings in Shazam!, all of whom have their own identities and character struggles. Again, these characters are definitely personalities that you’ve seen before in similar family-driven movies, between the awkward tech geek, the naive youngest sister, the over-achieving oldest sister, and the gruff, seemingly unfeeling, yet comical-looking brother, along with the doting, super-sweet foster parents that just want to make Billy’s living situation work, despite his challenges. The standout among Billy’s foster family however is Jack Dylan Grazer’s Freddy Freeman, a physically disabled superhero geek, and DCEU Easter egg factory, who thankfully serves as Billy’s most steadfast and loyal ally both in and out of his Shazam persona, taking it upon himself to be the fledgling hero’s trainer and manager. Of course, since Billy and Freddy are kids, this mostly amounts to a continued montage of filming hilarious YouTube videos and exploiting Billy appearing as a grown man, wherein Freddy also attempts to evaluate exactly which powers Billy possesses as Shazam, including taking the opportunity to see how he stacks up against many of the DCEU’s other most well-known champions. Obviously though, a great hero demands a great villain, and Shazam! 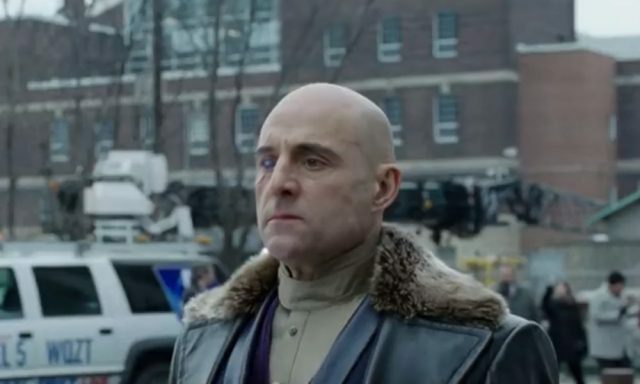 does bring in one of the best villain actors around for that, Mark Strong, who portrays one of Shazam’s two most frequent arch-enemies (the other being Black Adam, who is disappointingly completely absent from the movie, despite Dwayne Johnson being attached to play the mighty antagonist for years), Dr. Thaddeus Sivana. Appropriately, since Shazam started out as an obvious Superman knock-off in his early 1940’s comic book tenure (back when the Shazam characters were owned by another company called Fawcett Comics, and were later sold to DC after Fawcett went bankrupt), it logically follows that Doctor Sivana is a pretty clear Lex Luthor knock-off, right down to being a bald businessman and scientist with a ridiculous amount of capital and net worth in his family tree. Recent years in DC Comics lore however have attempted to separate Sivana from his obvious Lex Luthor parallels, namely by giving him an affinity for magic, which he can perceive and harness with his left eye. Shazam! takes the idea of the magic-powered Sivana a bit further, making the character a tormented and troubled boy who is summoned by Djimon Hounsou’s Wizard Shazam, and rejected as his champion, leading to an older adult Sivana eventually becoming obsessed with finding his way back to the Rock of Eternity. Obviously, Sivana is successful in this endeavour (or we wouldn’t have a villain), and ends up becoming a vessel for the corporeal manifestations of the Seven Deadly Sins: Sloth, Lust, Greed, Envy, Wrath, Pride, and Gluttony, all of whom the Wizard Shazam was meant to protect the world from. Upon taking the Seven Deadly Sins into his magic left eye, Sivana gains incredible power that more or less allows him to go toe-to-toe with Shazam, and after learning that the Wizard Shazam chose a champion, Sivana naturally becomes obsessed with seizing Billy’s powers for himself. It is admittedly a little disappointing that Strong’s nicely imposing villain is only ever ultimately motivated by an obsession with power, making him a disappointingly shallow foe in this movie. 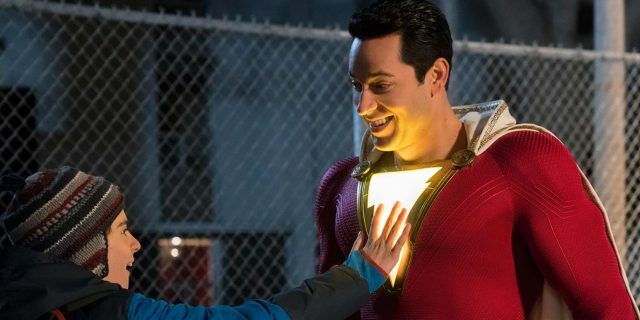 Still, perhaps that approach does at least somewhat fit with Shazam!’s desire to call back to a younger, simpler era for big screen superheroes, who weren’t constantly faced with intense political and philosophical journeys like they are in the modern era, and merely needed a bad guy to punch. The storyline in Shazam! is pretty uncomplicated by the standards of a modern superhero movie. It treads upon themes that have been explored in several other superhero movies not just from DC, but also from their competitors. Sometimes less is more though, and in the case of Shazam!, the former efforts to market the DCEU on heightened sophistication and moody atmosphere thankfully melt away in favour of a back-to-basics approach that emphasizes a good, old-fashioned superhero romp to strong effect. Shazam! happens to stand as the most kid-friendly of the DCEU’s current movie selection as well, with the obvious appeal of spotlighting a distinctly youthful character roping himself into a challenging adult situation that they are woefully unprepared to take on, not unlike Sony Pictures’ and Marvel Studios’ Spider-Man: Homecoming from 2017. After two massive DCEU solo movies that previously realized Themyscira and Atlantis for the big screen, with heaps of mythology and development behind both of them, it may be difficult for some DC fans not to pine for just a little bit more depth in Shazam!’s storyline. Considering that Shazam! is meant to properly introduce magic to the DCEU, it feels like the movie barely scratches the surface of elements like the Rock of Eternity and the heritage of the Shazam Family of heroes, which dates back thousands of years that are clearly being saved for follow-ups. 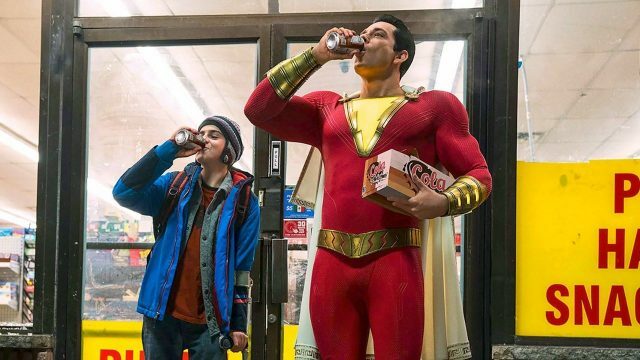 Again though, it’s tough to argue with the philosophy of doing the simple stuff well over the advanced stuff poorly, particularly in this first cinematic outing for Billy Batson’s magical hero, and despite inverting the initial philosophy behind the DCEU’s storytelling direction, Shazam! is nonetheless all the better for it. As long as you’re not expecting a massive superhero epic (and really, why would you with a superhero this proudly comical? ), you’ll be plenty entertained and satisfied by this movie’s straightforward, but lovable superhero origin tale. As with Aquaman, Shazam! doesn’t have much of a connection to other characters or storylines previously established in the DCEU. 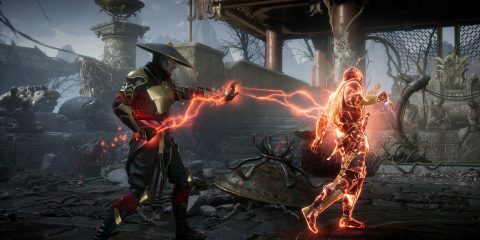 There are however several Easter eggs that reference the existence of characters like Superman, Batman, Wonder Woman and The Flash, all of whom have merchandise and apparel that can be seen both in stores, and on Freddy’s person. Freddy’s room also contains newspaper clippings and replicas that reference the events of 2017’s Justice League movie most notably, including the reveal of Batman to the public eye, and the resurrection of Superman. Superman himself also makes a cameo of sorts, being glimpsed in the final seconds of the movie, when Shazam invites him to eat lunch with Freddy in Fawcett High School’s cafeteria (this is the one reference to Fawcett Comics contained within Shazam!, since the movie is set in Philadelphia, rather than the DC Universe’s Fawcett City), though his face isn’t shown, making it likely that it’s a stand-in wearing the familiar Superman suit, not Henry Cavill. The suit is however completely accurate to Superman’s DCEU costume. Despite the absence of Dwayne Johnson’s Black Adam in this movie (though Johnson does nonetheless serve as an executive producer for Shazam! ), the movie nonetheless contains a mid-credits scene and post-credits scene. The mid-credits scene involves an incarcerated Doctor Sivana, now de-powered and having lost the Seven Deadly Sins, frantically drawing glyphs on his cell wall, and becoming infuriated when his charcoal runs out. It’s at this point however that a telepathic slug-like alien begins talking to him about escape and ruling the world, with the creature being another Shazam Family villain, Mister Mind, foreshadowing Mister Mind’s presence as a major villain in a potential Shazam! 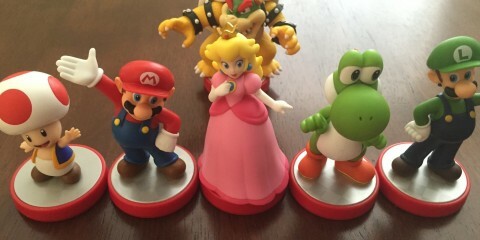 sequel. The end credits scene meanwhile is merely a joke scene, more or less completely emulating the Marvel Studios template for post-credits scenes, wherein Freddy is shown trying to determine if Shazam can communicate with fish. When Shazam fails to interact with Freddy’s goldfish, the two talk about whether or not being able to communicate with sea life is actually a cool or useful power, obviously poking fun at the recent landmark success of Aquaman for the DCEU movie catalogue. In another interesting inspirational parallel to the DCEU’s previous Aquaman, Shazam! is actually helmed by a director who was originally known for cutting their teeth on horror movies. David F. Sandberg, whose former feature credits include Lights Out and Annabelle: Creation, feels like a directing choice so unorthodox that even Marvel Studios would probably initially scratch their heads at it, yet strangely enough, Sandberg has proven to be the perfect man for the job! The director’s horror movie credentials lend themselves surprisingly well to jump scare-related humour, legitimately imposing demon villains with the Seven Deadly Sins, and even a surprising sense of atmosphere across locations like the Rock of Eternity and Sivana Industries. The movie is truly wonderfully put together, and often leaps off of the screen with its larger-than-life craziness, despite also managing to keep itself grounded within a coming-of-age story that leans heavily into the value of family. As much as Sandberg originally broke out in horror however, he seems to truly have an outstanding eye for directing comedy, and as I said, Shazam! is often at its best when it’s going all-out on the sillier scenes. There are many moments in Shazam! that will have you doubled over in laughter, simply because everything from the shot framing to the comedic timing of the actors is just so perfectly realized. Even some of the simpler jokes in Shazam! land so effectively at times, simply because Sandberg oversees them with such skill! That’s great news, since Shazam! 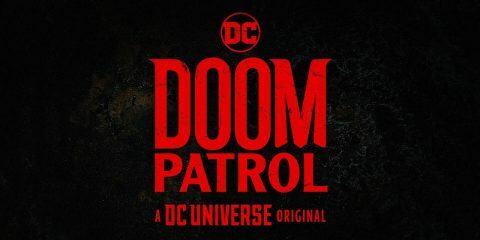 is clearly much more proud to call itself a legitimate superhero comedy, rather than a high-profile superhero blockbuster that simply has comedic elements, making it a wonderful palate cleanser for those who have grown weary of the DCEU’s frequent failed attempts to be more dark and intense than the competing Marvel Cinematic Universe. Director, David F. Sandberg reunites with his Lights Out and Annabelle: Creation composer, Benjamin Wallfisch for Shazam!, and Wallfisch’s score does manage to be a pretty impressive one. On top of a few well-chosen licensed tracks that lend themselves well to comedic scenes, Wallfisch contributes plenty of original compositions that nicely carry a lot of wholesome heroic energy, frequently delivering a retro charm that feels like a zanier take on the classic John Williams music stylings from the 1970’s/1980’s-era Superman movies. This isn’t Wallfisch’s first music selection for the DCEU either, since he also contributed to the music suite of 2016’s Batman v Superman: Dawn of Justice, a movie that, for all of its flaws, at least packed in an overall superb soundtrack. It’s clear that Wallfisch understands the vision behind Shazam! as well as Sandberg does, and his score contributes another great music selection to the DCEU, which, even considering its dubious mis-steps in places, has at least consistently managed to nail its soundtracks with reliable regularity. The rest of the sound mixing and audio design in Shazam! 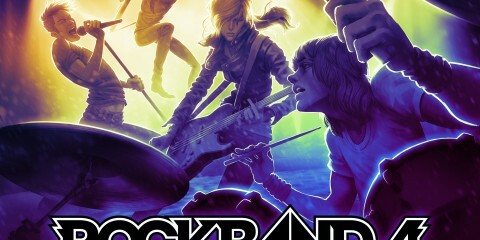 is also very impressive, particularly if you can crank it up further in premium formats like IMAX! The colossal, uncontrolled might of both Shazam himself and Doctor Sivana is realized incredibly well, giving us a hero/villain clash that finally carries the true, awe-inspiring power of a pair of gods, without all of the senseless, over-the-top destruction that sometimes dragged down the DCEU’s debut Superman offering, Man of Steel. With more even-handed, yet still impressive audio engineering, Shazam! manages to be a great treat for the ears, whether it’s delivering action or comedy (or both! ), nicely realizing the might of its lead hero without trying too hard to shove it down the audience’s throats. After the stunning, revolutionary visual design that was all throughout Aquaman late last year, the effects work in Shazam! truly feels very humble and quaint in comparison. Still, the DCEU’s commitment to top-notch production value is nonetheless upheld throughout Shazam!, even considering the smaller scope of the story, with the effects behind Shazam’s transformations and lightning powers, as well as the Seven Deadly Sins, all excelling as surprisingly believable magic for the world of the DCEU. 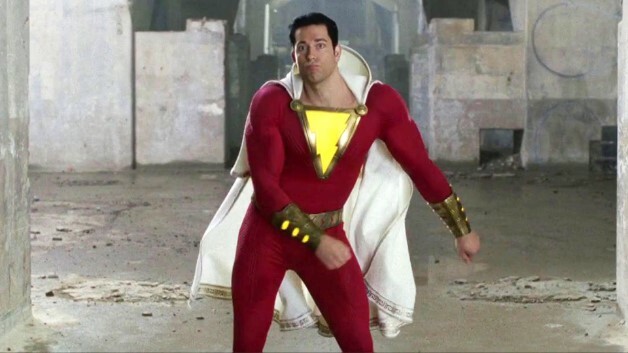 Even if a lot of the effects are played for laughs, there are still several genuinely impressively-realized moments of superhero style in Shazam!, with highlights including the manifestation of the Rock of Eternity, and several of the high-flying confrontations between Shazam and the demon-powered Doctor Sivana. By DCEU standards, the visual suite in Shazam! is hardly mind-blowing, but it certainly gets the job done, and does a strong job of bringing the world of Shazam’s character to believable live-action life. Regrettably, the early screening of Shazam! that I attended was not presented in 3D, so I can’t comment on the potential of the 3D presentation on offer. I will however say that Shazam’s modest effects suite and mostly restrained visual direction doesn’t always appear to enormously lend itself to an intense 3D presentation. Outside of a few more visually arresting moments like the scenes involving the Rock of Eternity, I can’t imagine that too much is done with the movie’s 3D work, though I can see how it would occasionally beef up a few of the visual beats here and there, if it’s realized properly. Thankfully, Shazam! is at least shot with a very bright, colourful visual palette, so the 3D would definitely have that advantage, at the very least. Regarding the IMAX presentation, I couldn’t assess that either, but even in a standard digital screening, Shazam! looks and sounds great! Again, I don’t imagine that the movie’s smaller scope would innately lend itself that critically to an IMAX upgrade, but at least the production value is there, and you’re bound to enjoy the visuals quite a lot, regardless of your format of choice. It’s ironic that for all of the DC Extended Universe’s efforts to often try and prove itself deeper and more complex than the current crop of Marvel Cinematic Universe-driven superhero movies, another of the DCEU’s best movies to date succeeds so wonderfully by merely going back to the genre’s basics, and going even further back than the tried-and-true MCU template. Shazam! may not be terribly deep or novel, ultimately sustaining itself on a thinly-developed villain and a boilerplate battle of good-vs.-evil, but in sticking to the simple appeal of the superhero fantasy, for viewers both young and old, the movie nonetheless nails its vision of a plucky teen getting the on-demand ability to embrace life as a showboating adult superhero. After all, even for adults, who wouldn’t want the ability to conveniently move between their normal identity, and that of a super-powered alter-ego, with one simple (albeit silly) phrase? In many respects, Shazam! is quite confident in its drive to be a sweet superhero movie treat, but its fantastic sense of humour and well-executed domestic themes prevent it from ever feeling like empty calories. 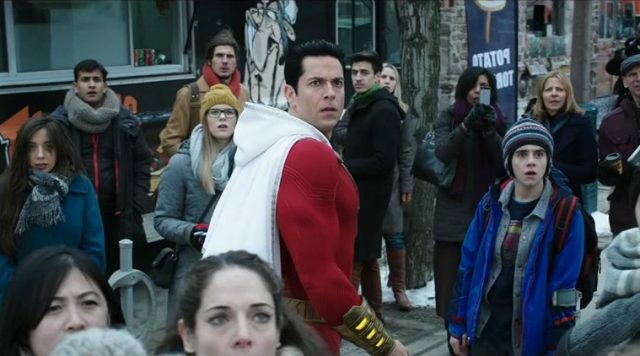 It doesn’t rely on tying itself in to the DCEU to any serious degree, beyond a couple of passing nods in the sets and dialogue, but one of the biggest indicators of Shazam!’s superb final product is that it really doesn’t need to. After Aquaman proved to be similarly successful by not building any real ties to the overall DCEU, and going all-in on a self-contained storyline surrounding its titular hero, it would appear that Warner Bros. has indeed discovered a more reliable movie recipe by shifting away from its initial shared Justice League-inspired vision, and simply letting DC’s heroes sustain their own singular storylines, while still operating in a loose shared universe, away from each other. 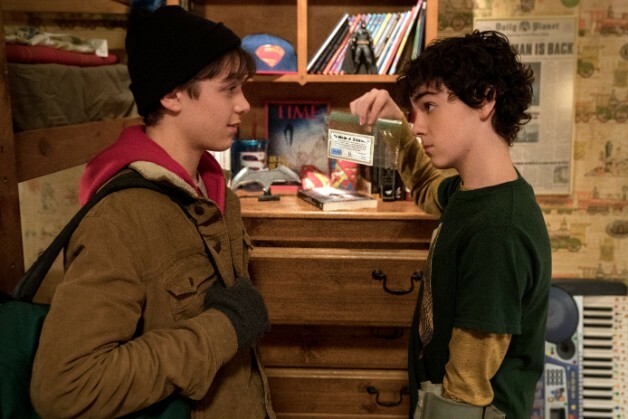 Asher Angel and Zachary Levi have both beautifully realized an immature, but lovable budding superhero who more than deserves to interact with the Justice League on the big screen one day, but for now, I’m more than happy to look forward to more of Shazam’s own cinematic shenanigans in the years ahead! Shazam! joins Wonder Woman as one of the biggest smash hits yet delivered by the DC Extended Universe, boasting an incredible sense of humour and a straightforward, but lovably wholesome superhero origin story.